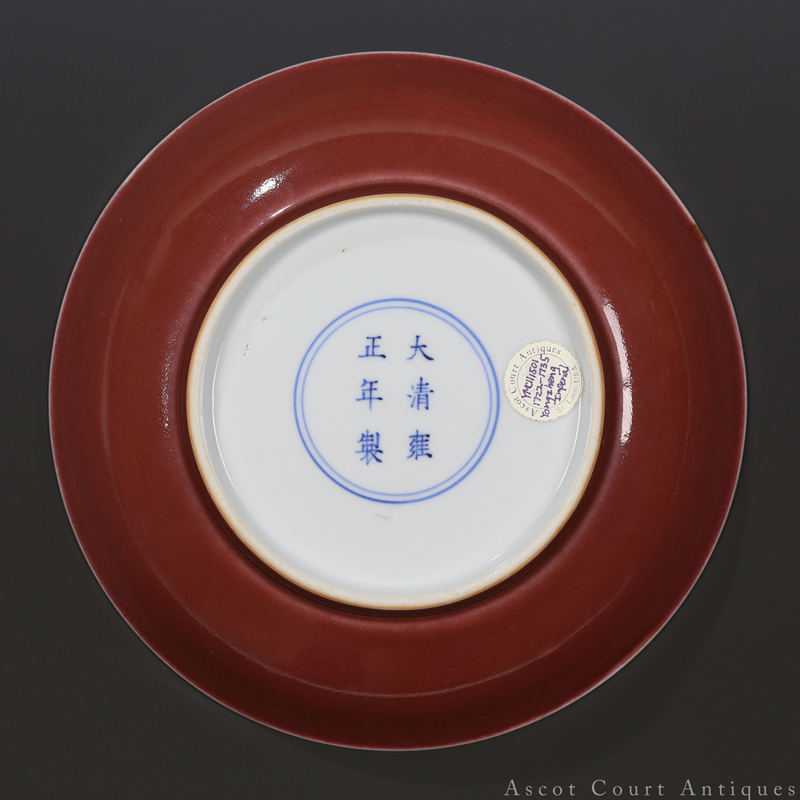 An imperial copper red ‘Jihong’ dish, marked in underglaze blue with a six character Yongzheng mark and of the period. 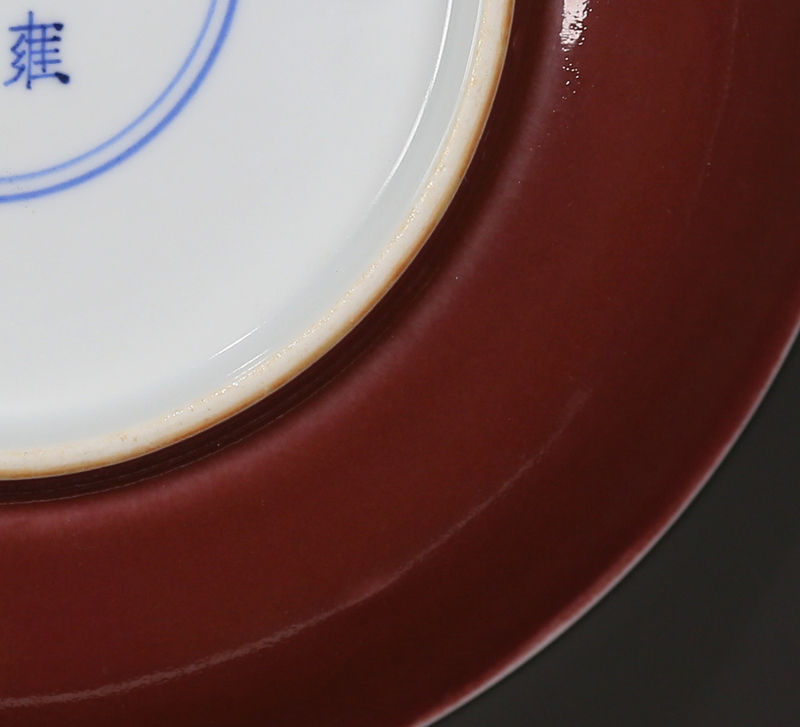 The ‘sacrificial’ jihong red glaze stops neatly at the foot, all while exposing a striking white rim. Withdrawing from the exuberant boldness of Kangxi porcelain, Yongzheng pieces—especially imperial ware—exhibit a dignity, elegance, and reserve that seems to anchor deep into the Song and early Ming tradition. 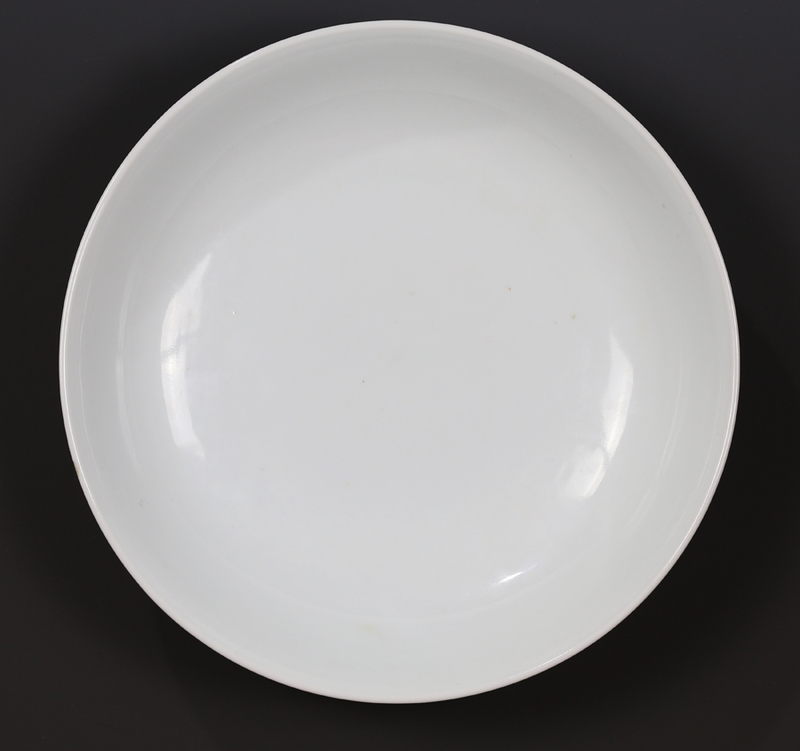 Yongzheng potters admired Song monochromes and attempted to recreate many of its glazes. 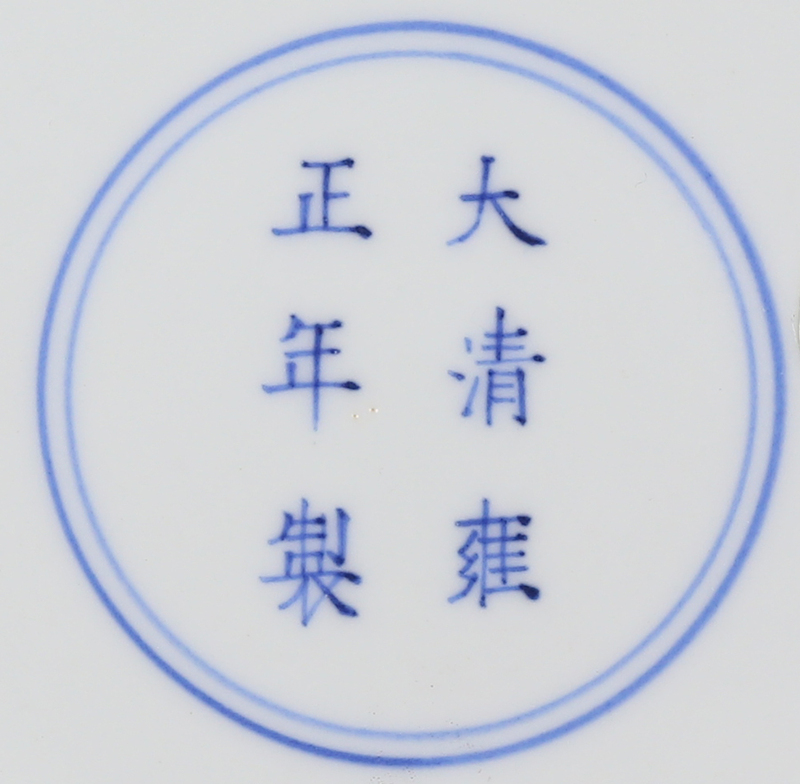 The ‘sacrifical’ jihong red however imitates an early Ming copper red glaze called xianhong (seen commonly on imperial dishes from the Xuande era). Potters created the glaze by relying on a copper formula— when fired in a reduction atmosphere (late in the firing potters would throw wet wood into the kiln to reduce the amount of oxygen present), copper-infused glazes left the kiln red.